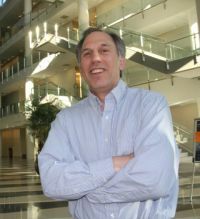 Dr. Lapenta is the Director of the National Weather Service's National Centers for Environmental Prediction (NCEP). In this position, he oversees the planning, operations and science and technology integration of NCEP's Central Operations and Environmental Modeling Center. He is also responsible for oversight of NCEP's seven national service centers that deliver warning, forecast and guidance services for specific weather, ocean, climate, coastal and space weather phenomena. These centers include the Aviation Weather Center (Kansas City, MO), National Hurricane Center (Miami, FL), Space Weather Prediction Center (Boulder, CO), and the Storm Prediction Center (Norman, OK), as well as the Climate Prediction Center, Ocean Prediction Center, and Weather Prediction Center. in College Park, MD.